MISSISSAUGA, ON (November 13, 2018) – Today, the Information Technology Association of Canada (ITAC) through its health division, ITAC Health, published a white paper highlighting barriers to the adoption of the emerging technologies that are required to accelerate the transformation of Canada’s current healthcare system. The Paper, titled Accelerating the Adoption of Digital Health Technologies in Canada, uses a subset of the emerging technologies such as virtual care, precision medicine, consumer health, the Internet of (health) Things, cloud computing and blockchain – to illustrate the growing gap between the pace of adoption and scale in the Canadian health industry versus other industries and health systems. The key recommendations of the Paper encourage both the Canadian public and private sectors to be significantly more engaged, collaborative and focused on the common objectives of sustainable investment, standardized procurement, and scalable innovation nationally, across our provincial boundaries, to create a truly Canadian digital health marketplace. The white paper was developed by the ITAC Health Advocacy Committee, led by past Co-Chairs David Thomas (TELUS Health) and Robert Lazar (BSharp Technologies), and included the broad contribution of many of ITAC’s vendor committee members, as well as Brendan Seaton, ITAC Health President, and Elaine Huesing, ITAC Health Executive Director. According to Thomas and Lazar, making, and living into bolder commitments for public and private collaboration is increasingly vital – or Canada will continue to fall behind the progress of other countries in digital health innovation. The Paper also highlights that while policy makers, administrators, clinicians and vendors want a safer, more accessible, and patient centric system, progress appears incremental, when it should be exponential. “Global forces, including rapidly advancing technologies, are re-shaping health systems in Canada and around the world faster than policy. Canada has a narrow window of opportunity to capitalize on its innovation investments and these global trends, if it wishes to translate them into benefits for its citizens,” states Thomas. In addition, according to the Paper, “While Canada is a small player on the global scene in terms of population size, we have a unique opportunity in the near term as one of the earliest ‘adopters’ and largest collections of single payer health systems in the world. By leveraging our existing foundation and our collective will to reach a common vision, Canada can become a global leader in digital health solutions”. To read the full white paper, click here or visit www.itac.ca. As Canada’s national ICT business association, the Information Technology Association of Canada (ITAC) champions the development of a robust and sustainable digital economy in Canada. A vital connection between business and government, we provide our members with the advocacy, networking and professional development services that help them to thrive nationally and compete globally. A prominent advocate for the expansion of Canada’s innovative capacity, ITAC encourages technology adoption to capitalize on productivity and performance opportunities across all sectors. A member-driven not-for-profit, ITAC has served as the authoritative national voice of the $170 billion ICT industry for over 60 years. More than 36,000 Canadian ICT firms create and supply goods and services that contribute to a more productive, competitive, and innovative society. The ICT sector generates over one million jobs directly and indirectly and invests $4.9 billion annually in R&D, more than any other private sector performer. 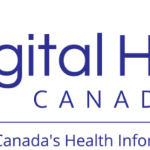 The ITAC Heath Advocacy Committee mandate is to promote investment in health ICT and represent the interests of the Canadian health ICT industry to government, key decision makers and opinion leaders. This is accomplished through the input of the committee members by executing on specific advocacy activities, meeting one-on-one with Ministers of Health (Federal and Provincial) to promote investment in health ICT, supporting the provincial Ministers of Health through collaboration and information sharing, opening up channels for dialogue between senior public servants, decision-makers in the broader health sector and organizing opportunities for the membership to engage directly with key decision makers and politicians through various events.